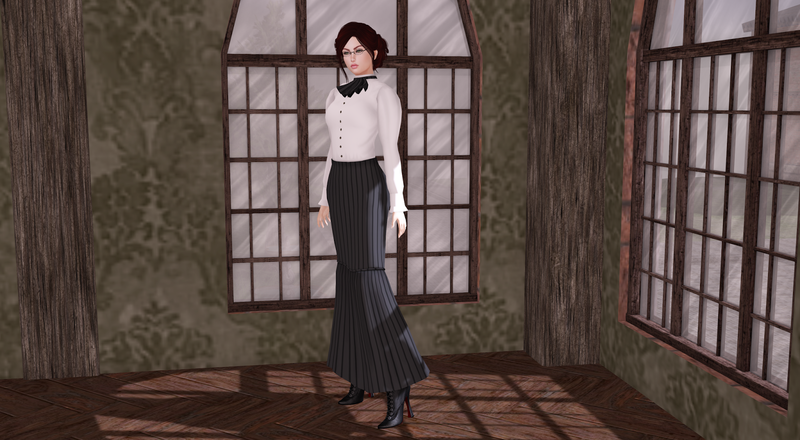 Ms. CC, The Virtual Fashionista: Edwardian Fishtail skirt dress from Zantyago Mannonen, and discussion of devkits. 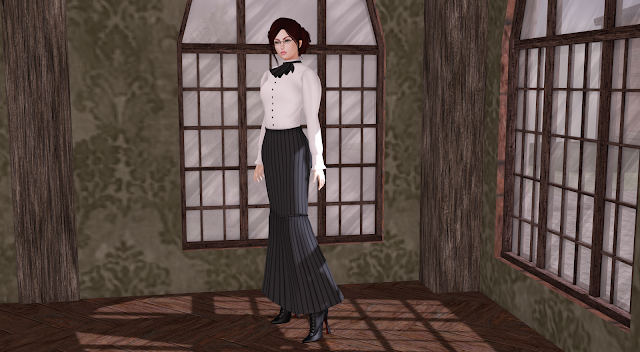 Edwardian Fishtail skirt dress from Zantyago Mannonen, and discussion of devkits. Charlotte is wearing Zan's Stroller dress. 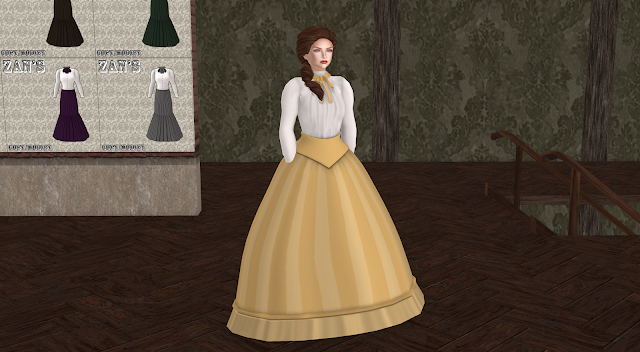 Her hair is Slink Constance, which I should pick up. Her head is a Catwa Amy. Her eyes are from Inkheart, Winter fantasy eyes in Snow. I'm going to say this right up front, the Maitreya body developer needs to be more forthcoming with the devkit and more free with it's release. Even with small niche creators like Zan. Getting it into as many hands as possible makes higher quality items for the body available and INCREASES the desirability of said body even more than it is already, ESPECIALLY in niche communities like the Steamlands.